Mail the perfect missive with the Recycling Symbol Postcard. This cool green and tan card has 22 open lines to explain all your event details. 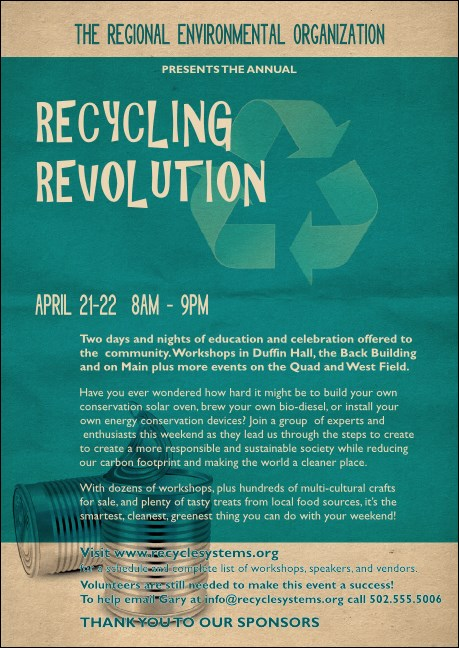 Let your postcard salvage excitement for the recycling themed event you've worked so hard to plan. Send notices for all your events with the right postcard from TicketPrinting.com.